Day 6. 157km. 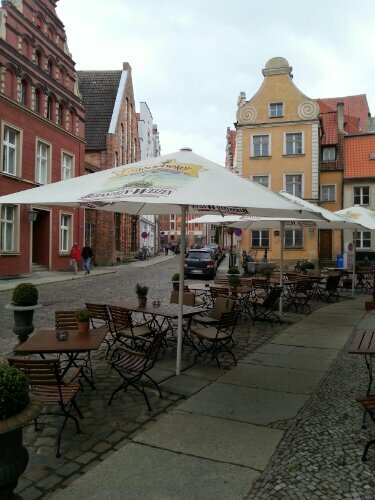 Flessenow – Stralsund. A race against the clouds to Stralsund. 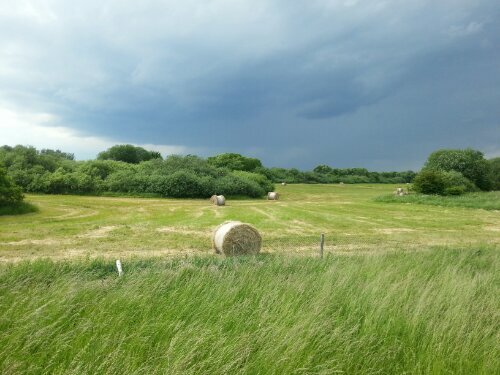 Wind and dark grey clouds behind me, I hurtled through the Mecklenburg Vorpommern fields. Day 6. 157km. 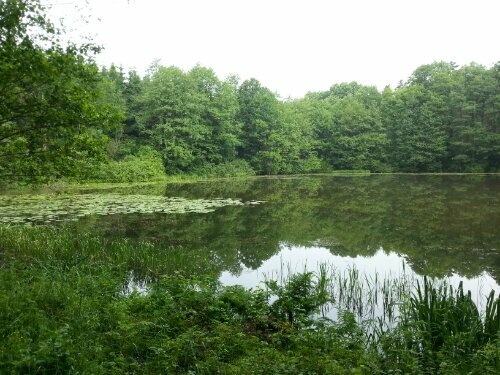 Flessenow – Stralsund. Map and gpx. I knew there was a long way to go, and I wanted to get up at 4 to leave by 6. Luckily the rain convinced me otherwise. I listened to the pitter patter (briefly) at 4, then rolled over and returned to sleep. Leaving Flessenow was as adventurous as entering. Slippery loose sand roads through beautiful forests. It was heavily clouded and tried to rain a few times but gave up after a few spits. 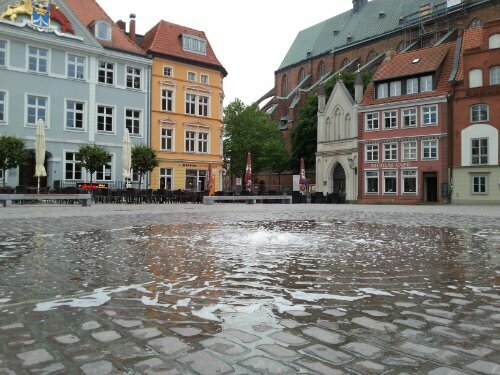 I wanted to get to Stralsund and be in a nice hotel for the pouring rain predicted this evening. It was a long way, and is impossible to judge the road quality before getting there. I made hay while the sun shone. Lunch at Bützow and a snack at Tessin. All rather quick. Who knows when the rain will start. The last 35km into Stralsund followed an old train route, and so was flat, and had an excellent surface to cycle on. I gave gas. Sometimes I get into this almost trance state. Speed speed speed. Pant and puff. Calculate the kms, estimate arrival times at next villages. See the fields whiz past. Speed. A bird darts across. Pulls me back to reality. Briefly. Then I’m away. Is water level OK? Can I collect enough momentum to bullet over the next hill? Avoid the bumps. Push harder. Speed. Arrival in Stralsund. A lovely hotel in a picture postcard city centre. This is one of the reasons I like Europe. Leuk om je verslagen te lezen! Regende vandaag ook in Nederland.